After World War II most nations created institutes for economic planning. The Great Depression of 1929-1940 and the war effort of 1940-1945 taught the importance of economic science. The analysis by Keynes of 1936 had been confirmed, i.e. the huge investments for the war effort had pulled the US economy out of the Great Depression. New techniques had been developed like linear programming for military sea transports. Economic planning overtook the world and it is as common now as the weather forecast. Forecasting the weather is fairly simple. You look at the satellite picture and figure out the direction and speed of the wind. Economic projections for next year have a similar structure. Businesses have to decide on their budgets and investments some time in advance and thus it is a good technique to sample them on their intentions. Also governments must decide on their budgets and appropriations, and thus the national economic planning bureaus provide the required integration and co-ordination of the various ministerial plans with the economic prospects. The problem lies with looking ahead for more years, when also results for next year depend upon what people expect for later on. The economic planning bureau must be based in science, in order to respect the statistics of the past and the samples taken this year, and to separate reasonable expectations for the longer run from political dreams by the administration in power. Europe has many countries and each has its national economic planning bureau. The EU has now 28 members and thus 28 planning desks. There is much double work and inefficiency as they all try to forecast next year’s outlook. This inefficiency doesn’t matter much. It is like 28 students in a classroom trying to solve the same math exam question: doing it yourself keeps you alert. People normally don’t mind 28 weather forecasters either, who have to translate to local conditions anyway. Variety also prevents group think. Still, it would be somewhat strange if, for example, Germany would forecast 0% and France would forecast 2% for EU growth. Thus there is co-ordination by the EU Commission and by a group like the Association of the European Conjuncture Institutes (with French abbreviation AIECE). Co-ordination of course re-introduces the risk of groupthink via this backdoor. The Dutch Central Planning Bureau (CPB) is a member of AIECE. As the directorate of CPB has been censoring my analysis since 1990, we may presume that they have not been informing AIECE about it. Neither will they have reported to AIECE that the present economic crisis confirms my analysis. Earlier I explained where my work can be found and why it tends not to be present in “peer reviewed journals”. Hence the economic planning bureaus of Europe are likely to be blissfully unaware of the economic analysis that would greatly contribute to the resolution of the Great Stagflation since 1970 and the economic crisis since 2007. Hence, I took the liberty to send the economic planning bureaus the email in the appendix below. I have editted the text for readability. The moment of sending the email is a bit awkward: I received various vacation absentee notices of contact persons. The weather forecast requires daily presence, even in sunny California, but economic planning still allows for vacations. Hopefully the AIECE secretariat takes proper care. It is a moot point whether the other economic planning bureaus would have acted in the same manner as the directorate of the CPB: censoring my analysis and dismissing me with untruths. These institutes may not be immune to the bureaucracy-bug, and we may linger a longer while on the question which bureaus had staff members who issued warnings about a potential crisis before 2007. The suggestion of creating national Economic Supreme Courts would be relevant here. There is a serious risk that the economic crisis in Europe could develop into a much larger one. The euro works out as a gold standard and then consider what happened in the Great Depression. You might therefor allow me to call your attention to my suggested solution approach in my book DRGTPE that I regard as a nice sequel to Keynes’s “General Theory”. […] I invite [econometricians] to test my additional analysis in the paper “Money as gold versus money as water” (2013). This is supplementary to DRGTPE (2000, 2005, 2012). I refer to the internet links below. Please be aware that my internet site changed from dataweb.nl to thomascool.eu. You will generally not be aware of the censorship of science by the directorate of the Dutch Central Planning Bureau (CPB) since 1990. The Dutch government recently appointed per August 1 2013 as new CPB-director ms. Laura van Geest, who however is a bureaucrat and has no track record as a scientist. The same happened in 1988/9 when the government appointed bureaucrat and non-scientist Gerrit Zalm, who after his CPB-period till 1994 continued as Dutch minister of Finance (adopting the euro) and now is CEO of the Dutch bank ABN-AMRO. Regrettably, Zalm started in 1990 censoring my analysis on unemployment and dismissed me with untruths in 1991. Holland hasn’t been able to resolve the issue yet. I advise to a boycott of Holland till the issue is resolved. (1) Between net minimum wage income and gross minimum wage costs there is a tax void. This can be abolished without costs, allowing a reduction of minimum wage costs. (2) The relevant marginal tax rate is the dynamic marginal tax rate, that comes about by using the total derivative that includes tax changes over time, instead of the partial derivative. Thus VAT be best at 1% (for statistical purposes and as an optional tool for the cycle). (3) Modern economies require counter-cyclical national investment banks. (4) When standard macro-economic models are adapted for 1-3 then we have an explanation for the Great Stagflation with its shift of the Phillipscurve since 1965. This stagflation was hidden by the economic deregulations since 1980 but now that we are re-regulating again the problem comes back into the open. PM. Note that Holland tries to solve its 1-3 problems by a low wage policy that exports its unemployment to other countries. Germany copied that policy, with the resulting trade imbalances in the EU. (5) The lesson learned for the future: The Trias Politica system of government with subordinate planning bureaus fails, and requires the amendment of an Economic Supreme Court. (6) Since the euro works as a gold standard, this requires a new treaty on an euro 2.0. However, we need not wait for the political process of adoption of a new treaty. European governments can already express their interest and commitment, and create acting national Economic Supreme Courts, so that the process can start fast. (7) And naturally various details to complete the picture. Note that DRGTPE 2012 with the PDF on the website consists of the 2005 edition that focusses on unemployment. It includes only summaries of my papers since 2007 on the present crisis. Those papers themselves have often PDFs at MRPA, and are collected in the book “Common Sense: Boycott Holland” (CSBH, no PDF). I hope that you will study DRGTPE and CSBH, and that you also adopt my advice to boycott Holland till this issue of scientific integrity in Holland is resolved. PM 2. My intention was to send this email to the planning agencies of the countries in the EU. Clearly there are a lot of those, and there is the issue of whom to contact. The above is a fair effort. Perhaps you can make sure that this email reaches the appropriate colleagues at your institute (e.g. the other members of OBR or Sachverstaendigenrat) and the other institutes, where you might perhaps ask AIECE to co-ordinate. For an overall economic analysis (not specifically on “reparations”) I refer to my book The Political Economy of the Netherlands Antilles and the Future of the Caribbean (2006) and the PDF at that link. It so happens that the Netherlands Antilles have mostly copied the Dutch system of taxation and social security, which is also common in the OECD, whence they suffer the same causes for unemployment. The positive effect is that the same solution approach applies. 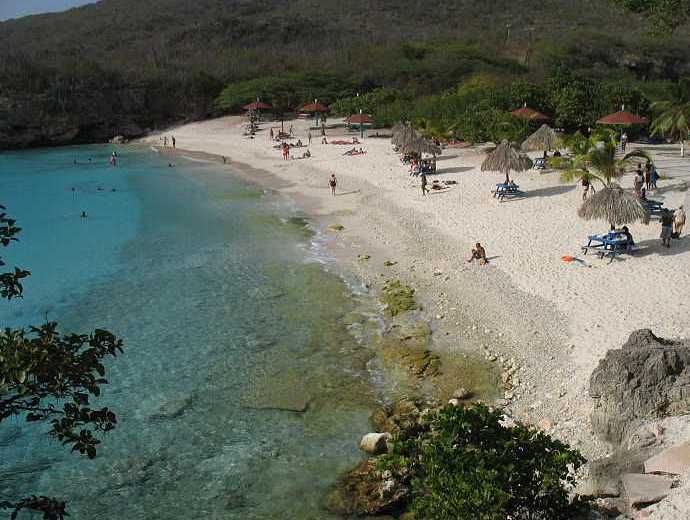 The Dutch Antilles could resolve their unemployment and create a veritable paradise on Earth. The only thing that stops them from doing so is political will and an interest in economic science. It isn’t the legacy of slavery that stops them. They got national independence in 1954. They still remain in the Dutch Kingdom, in a similar way as the British Queen Elizabeth II is the head of state of Canada. One cannot hold that Canada is restrained by this, and the same holds for the Dutch Antilles. Around 1900 many people in the north-eastern provinces in Holland itself lived in a situation similar to slavery, as day-labourers in agriculture. There is indeed a legacy in that region that it still has relatively less industry. But this derives from agriculture and location and such, and not from the 1900 living conditions. The islands in the Caribbean are island indeed, separated by sea, and in the past they developed island economies indeed. However, modern logistics and transportation by ship and plane is competitive to logistics and transport over land by car and train. Hence Caricom forms a wonderful opportunity for economic and eventually also political integration. The Caribbean shares a common history and should not be distracted by the ties to particular colonizers, i.e. the various countries in Europe and also the USA. This gives a visual idea of the problem. Like Martin Luther King I have a dream too. It is basically the same dream, but mine includes that our children are raised with economic common sense. It is not very convinving to ask “reparations” from Holland for its participation in slavery but it is sensible to start boycotting it for its present-day censorship of science. Judea Pearl (1936) has a great book on Causality, 2nd edition 2009. He also has the open access Journal of Causal Inference with the first issue in June 2013. Every scientist will find his paper Linear Models: A Useful “Microscope” for Causal Analysis enlightening. In some ways it restores to prominence the “path analysis” that Jan Tinbergen followed in the 1930s for econometrics. I first heard about Pearl’s approach in 2007. This was rather late actually, and happened in the context of my own book on logic and inference, A logic of exceptions (ALOE). Inspired by Pearl’s book, I ventured on a book Elementary Statistics and Causality (ESAC). A nice observation is that the truthtable on “If it rains then the streets are wet” or p implies q is treated in mathematics with two propositions only (implication is called a binary operator), while causality requires a third factor, namely some cause r that makes that the streets can be wet when it doesn’t rain. Unfortunately, since 2007 I have had no time to work on ESAC, and now it is already 2013. There is a fairly straightforward link between logic, probability, statistics and causality. Consider the truthtable for p implies q on the left and the 2 x 2 table of statistical observations that we might use for a ChiSquare test on the right. Obviously p occurs before q. For epidemiology we can regard p as the true state of disease and q a test statistic, with the hopeful statement “If I am sick then the test will show it”, with n21 false-negatives and n12 false-positives. The statistical probability of the implication is Pr[p implies q] = 1 – n21 / n. I prefer to regard causality as having a validated theory that p implies q, so that both a theory is required (that explains the causal chain) and empirical validation that n21 = 0. When we observe such empirical regularity then we are induced to look for a theoretical explanation. One might hold that empirical observations remain basic, but my impression is that the relation is only convincing to the human mind when there is also a theory (a story). Note though that a high prevalence of not-p would enhance Pr[p implies q] without providing much information about where it really matters, namely p. For causality we would rather look at the conditional probability Pr[(p implies q) | p] = Pr[q | p] = n11 / (n11 + n12), which is the sensitivity of the test, and which would lead to Judea Pearl’s operator of setting p.
Alan Hajek in Probability, Logic, and Probability Logic (2001) suggests that it would be hard to translate from the Kolmogorov axioms for events to axioms for statements. I don’t see the problem. Each event gives an atomic sentence like “It rains”, and the translation is perfect. Hajek’s paper however still is fine since he reviews the various possible philosophical foundations for probability, such as also the Dutch Book, a series of bets, each of which the agent regards as fair, but which collectively guarantee his loss. But that paper is again overly complex on conditionals, and one should quickly switch to Pearl. The logical inference is p & (p implies q) ergo q. The philosopher wonders about the probabilistic analog Pr[p] & Pr[p implies q] ergo Pr[q]. Hajek gives the impression of getting lost here. He reviews the philosophical literature but why not refer to the table above ? Provided that the conjunction stands for multiplication, we find that (n11 + n21) / n * (1 – n21 / n) generally differs from (n11 + n12) / n. The probabilistic nature of the inference causes that we have to include other possibilities than merely the 1 / 0 values. The proper translation becomes the conditional Pr[p] & Pr[(p implies q) | p] ergo Pr[p & q] which gives n11 / n. With the prevalence of the disease (your chance to be sick) and the sensitivity of the test, we can find only one cell, namely that you are both sick and test positive. We cannot conclude about the overall Pr[q]. For that we need also to know the specificity too. It is a bit curious that philosophers do so difficult about an issue that has been clarified by epidemiology long ago. The example of rain and wet streets might be simplistic. A more relevant example can be the hypothesis that austerity in the government budget would cause economic revival at the end of the elected term. Generally governments impose austerity at the beginning of their term, so that they can stimulate the economy at the end of their term, and then be re-elected. This is the Nordhaus Political Business Cycle. Administrations will tend to claim that the recovery depends upon their stern austerity at the beginning rather than the stimulus at the end. Clearly, this relationship will not be the 1 / 0 situation of pure logic. Van Dalen & Swank (1996) subjected the matter to statistical analysis for Holland. One of my questions would be whether their R-square could be turned into such a Pr[p implies q] set-up, and whether it would be useful to do so for understanding and inference. Due to Pearl’s hard work the issues grow clearer by the day. But chance and causality work together to confuse our understanding of chance and causality. New ideas erupt daily, and there is ever more to read and ponder about. Some of the following is on my still-to-read-list. George Boole (1815-1864) invented symbolic logic and wrote the difficult An investigation of the laws of thought (1854) that extended his analysis towards probability. Some hold that John Maynard Keynes in his Treatise on Probability (1921) found some error’s in Boole’s book, and that this caused Boole’s book to fade into obscurity. Now, however, there is David Miller, professor emeritus of Columbia, who wrote The last challenge problem: George Boole’s theory of probability (2009) who holds that Keynes was wrong and that Boole was right. The world is small: Miller’s book is referred to by Dupuydt & Gill, while Richard Gill also wrote a favourable review of ALOE. And of course there are Nassim Taleb with his black swans and the entertaining Fooled by randomness (2004) and James Franklin with his The science of conjecture. Evidence and probability before Pascal (2001). These two are on the read-book-list but require to be pondered again. Both refer to Carneades 214/3–129/8 BC and the 5th century BC legendary co-founder of rhetorics Korax (Corax) of Syracuse. These give a historical view how probability entered our thoughts via legal applications, whereas modern law still has to adapt to the advances in probability theory. We may be lucky however that the misconceptions about black swans before the melt-down of the banks in 2007+ were not enshrined into legal statutes. Taleb describes traders who may have a horizon of only five years, and his “black swans” of debt-induced financial collapse are more frequent than one would want to hold for true black swans. Regard n = 10000 and n21 = 1, then Pr[p implies q] ~ 1, but n21 would be our black swan. To evaluate this, we would need a loss-function, with a similar 2 x 2 table with costs and profits, and the standard ChiSquare would not really do. This would bring us to risk analysis. When n becomes large the standard statistical tests quickly become statistically significant but lose their informational value for the decision problem at hand. The loss function however would correct that. It would be enlightening to show this by some good cases. If you are new to these ideas you might enjoy Ziliak & McCloskey, The Cult of Statistical Significance (2006). They are weak on the loss function however. Well, due to various causes, I will probably have little time to finish my ESAC book quickly. It is nice to see though that logic, inference, probability and statistics all reside under the umbrella of the beautiful subject of economics (though others will think conversely). PS. ALOE uses x ≤ y for the truthvalues in p implies q. Perhaps you want to check that. Check also that Pr[p & q] ≤ Pr[p & q] + Pr[not-p & q] = Pr[q]. Thus there is something to say for a decision of q with some minimal probability merely from the observation that p & q, as in propositional logic. This angle provides a link with logic but it begs the question whether it is so useful once we consider probability. The dictionary has: “A protective case of silk or similar fibrous material spun by the larvae of moths and other insects that serves as a covering for their pupal stage.” A combination of chance and causality makes that I now must write about Noreena Hertz and her cocoon in Holland, where she is protected from the harsh winds of criticism and where she can spin her yarn in cosy admiration. Will she once erupt as a butterfly to dazzle all of us with the beauty of science ? Or should we rather accept her as just another gifted woman who got lost in the limelights and who got abused by failing Dutch academics ? Dr. Hertz wrote some bestsellers and got appointed at various Dutch universities, first Utrecht, then Rotterdam and now at the Duisenberg School of Finance at Amsterdam, where she holds the Chair of Globalisation, Sustainability and Finance. Contrary to common academics her web pages do not show lists of her scientific publications. Perhaps there is only her Cambridge thesis to show. A tentative conclusion is that the appointments at Dutch universities derive from her star status and from the desire of Dutch universities to suggest to their students that they are open to criticism of society. I haven’t read her bestsellers. Thus I have every desire to remain mute on those works and their author. However, I came upon the website of DSF because its dean Dirk Schoenmaker took part in a Dutch committee on the future of Dutch Banking. That committee produced a miserable report, that perhaps saves some Dutch banks but keeps the Dutch economy in prolongued recession. Below is my email to professor Schoenmaker. Given that Wim Duisenberg was the first President of the European Central Bank, we may hope that the DSF takes pride in proper scientific analysis. Professor Schoenmaker appears to be on holiday but perhaps there is a reply in the second half of August. Looking at the DSF website I noticed that dr. Hertz is at the DSF. I might neglect that. On the other hand, people might wonder. Noreena Hertz has been in Holland regularly for the last decade. Would she have noticed the censorship of science there, its protest, and the advice to boycott Holland ? Would she not be perfectly placed to adopt that advice and send it out to the world ? For sure, she would be perfectly placed, but alas, Holland is her cocoon, and she doesn’t notice the problem. The reviews of her books have never been inviting. Howard Davies, chairman of the FSA, is critical about her Silent takeover, The Guardian 2001: “Breathless globalony”. Richard Adams, The Guardian 2004, has: “Noreena Hertz’s IOU makes for grim reading but contains little that is new”. Writer Paul Kingsnorth finds: “Unfortunately, our Noreena is the Joanne Harris of political writing – and IOU, like its author, is all style and no substance.” Or see Diane Coyle in The Independent 2004. There is support however by disinfo.com 2009. By themselves these quotes might not mean much, since I would suppose that one could find similar quotes about my own work if one spends some time on Google. The point is that their descriptions of what would be the substance do indicate that there really wouldn’t be much of it. Let me use a risky argument. If there had been substance, the exposure that Noreena has had would have been sufficient to change the world. We had the exposure but no change. Hence there isn’t much substance. Her Cambrigde webpage claims: “For more than two decades Noreena Hertz’s economic predictions have not only been accurate and ahead of the curve, but crucial for the success of the world’s economy. In her number one best-selling book, The Silent Takeover, Hertz predicted that unregulated markets and massive financial institutions would have serious global consequences whilst her 2005 bestseller, IOU: The Debt Threat, predicted the 2008 financial crisis. Her books have been translated into 17 languages.” However, she does not feature in Dirk Bezemer’s “No One Saw This Coming” (2009). In itself this does not say much, see how Dirk disinforms Sweden. But we may agree that Noreena relied much on others without providing the key insights to resolve the crisis. The Cambridge webpage continues: “Many have described Professor Hertz as a visionary, and she is one of the most influential economists on the international stage. Her unique, integrated approach combines traditional economic analysis with foreign policy trends, psychology, behavioural economics, anthropology, history and sociology. Her work is considered to provide a much needed blueprint for rethinking economics and corporate strategy.” If this crisis is the result of her influence, we should hope that she quickly comes to her senses. Noreena’s website announces a new book in September 2013: “Eyes Wide Open: How to Make Smart Decisions in a Confusing World”. It is a warning about listening to experts. Perhaps this book is a warning by a DSF expert about the experts at DSF ? I found Stanley Kubrick’s “Eyes wide shut” already quite confusing, and I wonder about this new book that Noreena has spun from her cocoon. When you are in a cocoon, opening your eyes could be quite a horror. (1) I noticed that DSF had a discussion event on the report. I wonder whether the same critique was given as I put in my reaction above. Is there a report on that discussion at DSF ? (4) I kindly ask you to make sure that this email receives the attention of prof. dr. Noreena Hertz, DSF Chair of Globalisation, Sustainability and Finance. I am not sure about the contact form on her website or these alternative email addresses for her. It is possible that she would be interested in my critique on your work on Dutch banking, and that she would be interested in the (non-) reaction by Dutch academics on censorship of economic science and the appointment of non-scientists in scientific positions. My explicit invitation to you and to her is to discuss these points, not necessarily jointly. (7) If you still publish DSF newsletters, then it would be useful to include some of the points of this email. I copy to Judith Kohsiek so that she can ponder that question too. She may note that the Alberto Alesina talk in the March 2012 newsletter is inadequate for the solution of the EU problem, as he tends to neglect that the Eurozone is effectively on a gold standard with failing banks. I am sorry to say, but we really need to resolve this issue of censorship of science in Holland.